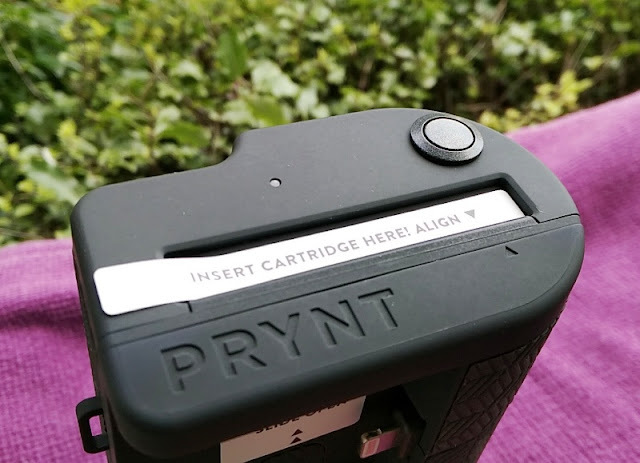 In the digital-driven photography age of Internet-based photo-sharing applications, it's nice to see gadgets like Prynt Pocket taking us back to the good old days of analog cameras where you could print a physical photo instantaneously after shooting it! 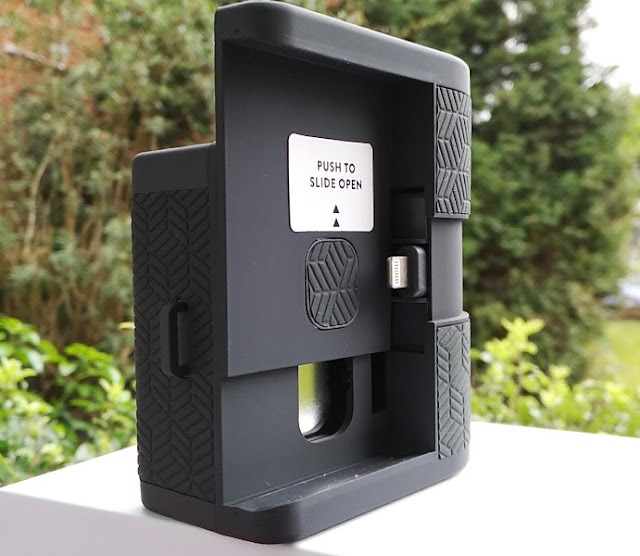 Taking the concept of chemically self-developed print, the Prynt Pocket uses self-developing technology to instantly generate a photo. 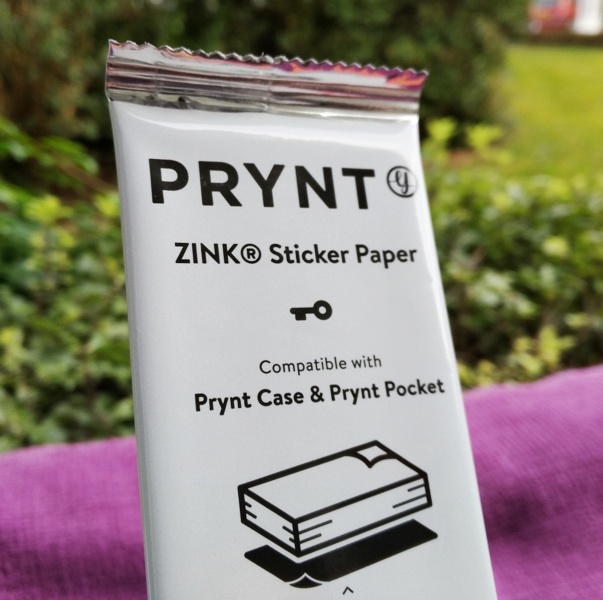 Instead of using caustic film, the Prynt Pocket uses Zink thermal printing, which is zero ink technology that uses heat to print instant images on sheet of paper with ink already embedded in it. Zink paper looks like black and white photo paper but with a twist. It actually integrates cyan, yellow, and magenta dye crystals with a protective polymer overcoat layer outside. 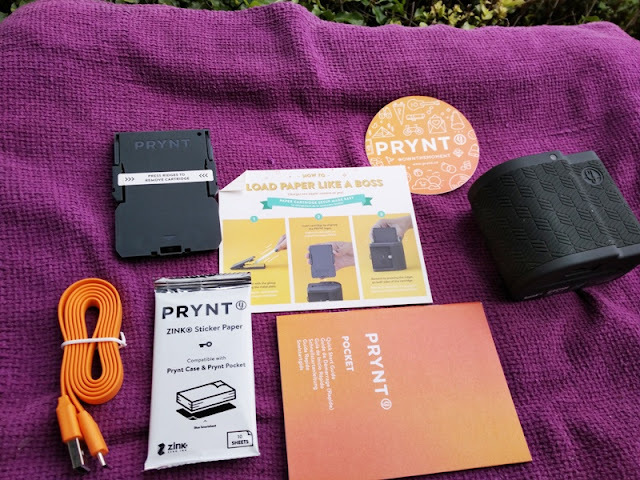 Prynt Pocket doesn't use ink. 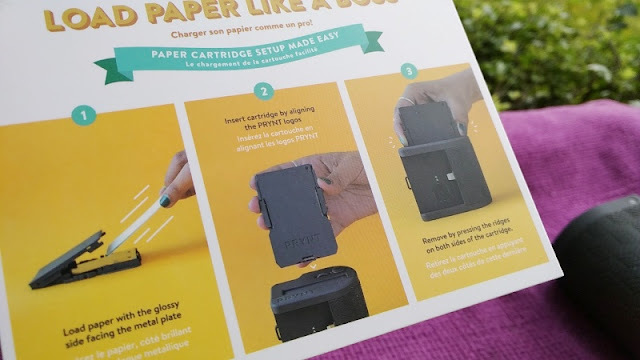 In fact, Prynt Pocket uses ink-free photo paper. 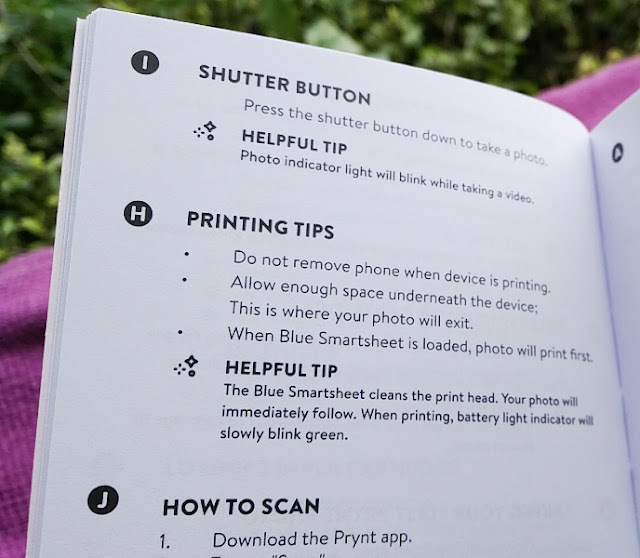 Prynt Pocket comes with ten sheets of 2 x 3 zink sticker paper sheets that you manually insert inside the included paper cartridge holder with the blue smartsheet barcode on top facing up (the blue smartsheet functions as printer calibration). 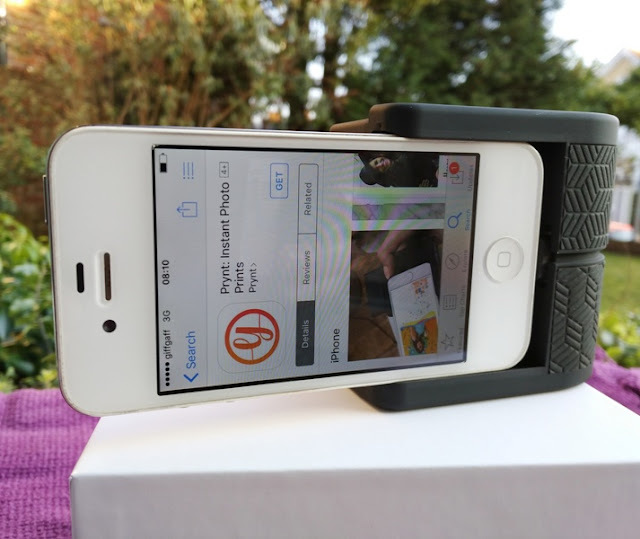 Then, you simply mount your iphone between the clamps of the Prynt Pocket or widen the clamps to accommodate a larger iphone by sliding the adjustment button on the Prynt Pocket. 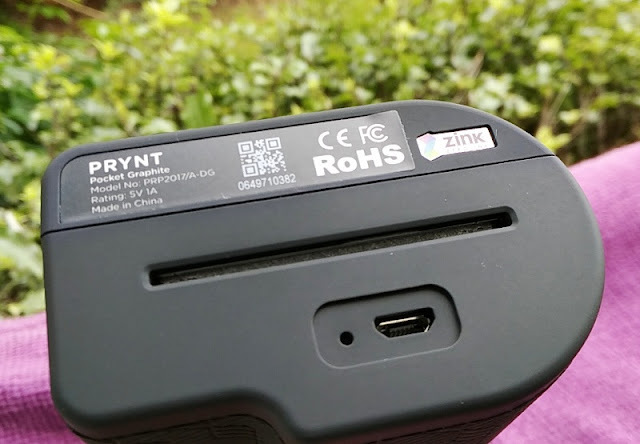 Once your iphone is inserted is just a matter of opening the Prynt app to start "zinking" away. 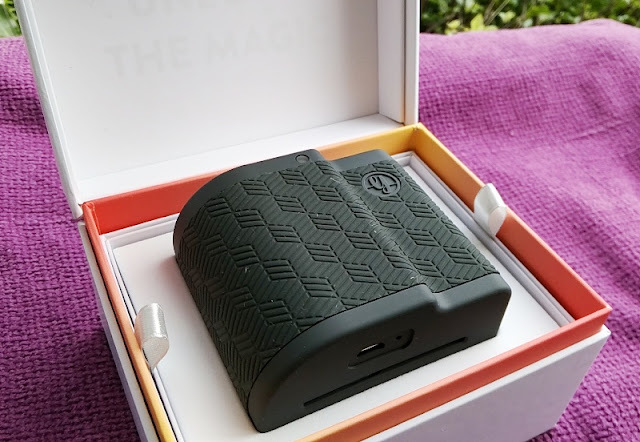 When you attach your iphone directly to Prynt Pocket you don't have to connect to Bluetooth or WiFi, which is neat. 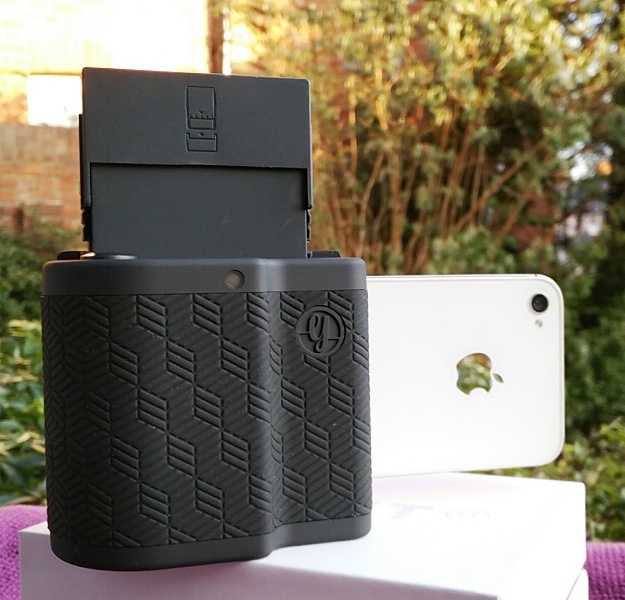 Prynt Pocket weighs only 160 grams and measures 8.3cm wide x 7.1cm tall x 4.8cm thick. 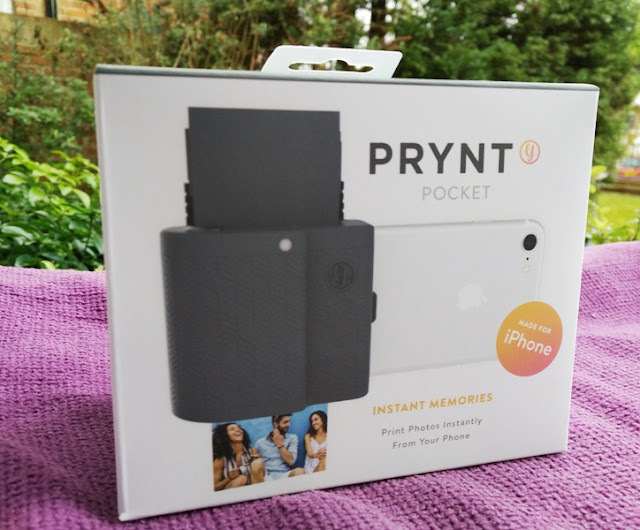 The exterior of the Prynt Pocket has a black rubbery grippy pattern and features a dedicated shutter button, a camera adjustment button, a protruding iphone lightning male connector and a print out slot on the bottom where you also find a micro USB port to charge the Prynt Pocket. 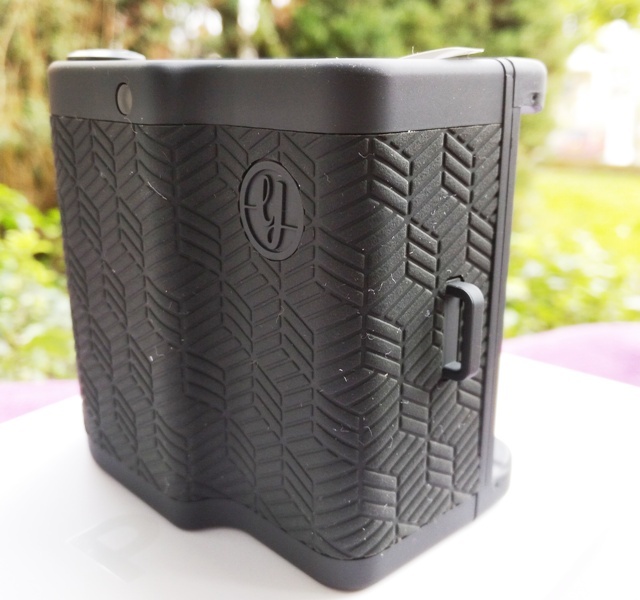 On the bottom of the Prynt, you also find a pin hole leading to a small button to reset the Prynt Pocket. One of the coolest Prynt features is "print video" where videos appear embedded in photos just like those Hogwarts portraits in Harry Potter. 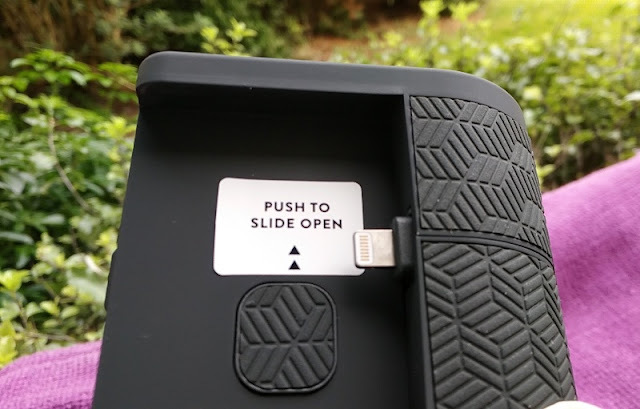 The magic of the print video feature is actually quite nifty as it uses pattern recognition technology and augmented reality technology that gives the illusion that the video is encoded in the printed photo. 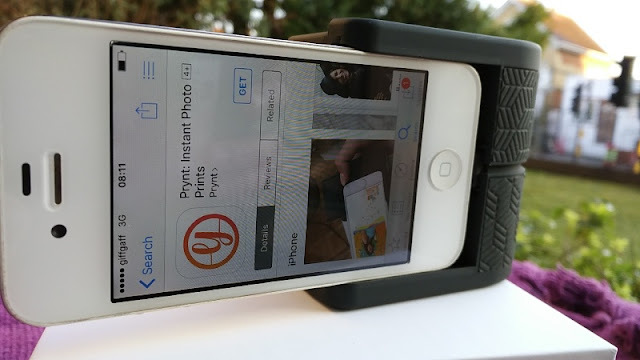 Print video works by you recording a short video via the Prynt app or using an existing video you recorded with the iphone camera app. 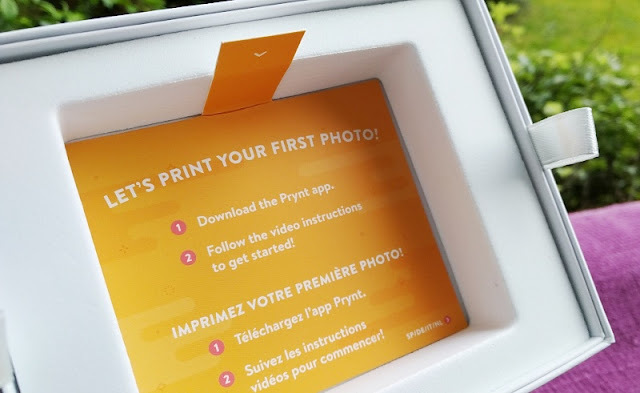 Prynt Pocket then prints out a still image of the first frame of the video. You can then hold the still image in front of the camera and press "scan in the app" which shows a moving image. 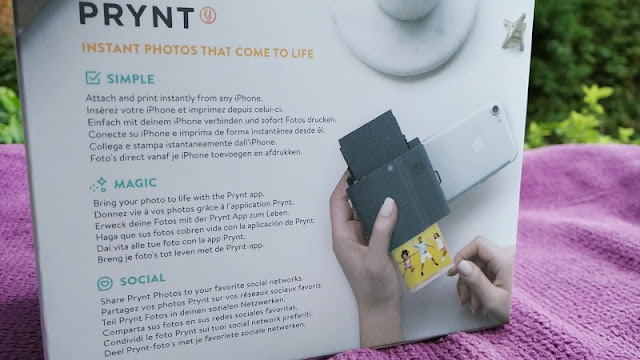 The Prynt Pocket app matches your video and still image and then superimposes your video on top of the still image to create a very cool interactive image like those interactive newspapers in Harry Potter. 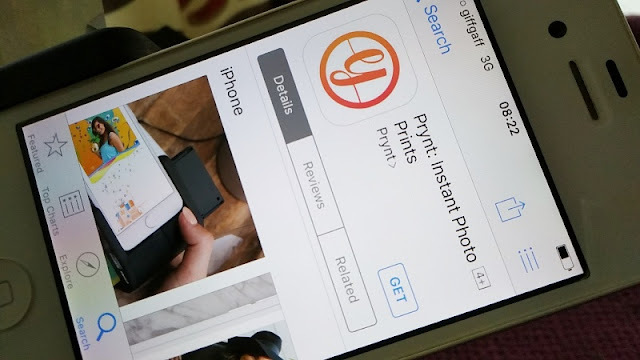 The maximum length of the video you can record is 10 seconds so if you are using an existing video that is longer than 10 seconds the Prynt app automatically crops the video in length, upload it to the cloud, print out the photo, scan it, recognize it and playback the augmented reality video of the photo. You can really have fun with the print video feature by sticking them around your house for family and friends to see and become alive! 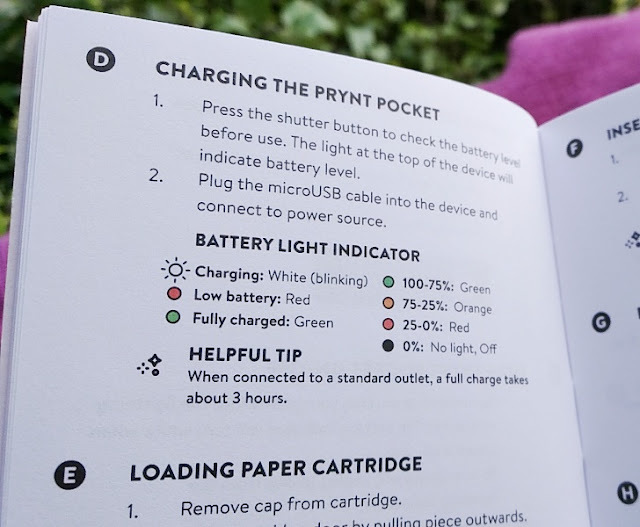 To check the battery level of the Prynt Pocket, you simply press the shutter button and check the color of the led indicator. If it shows green, it means the battery has full charge. If the led shows red, the battery is low on charge. 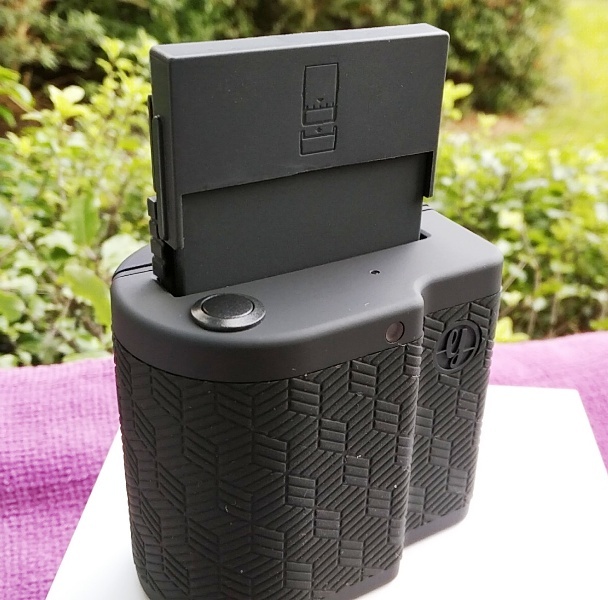 A full charge of battery is good for at least 16 prints. 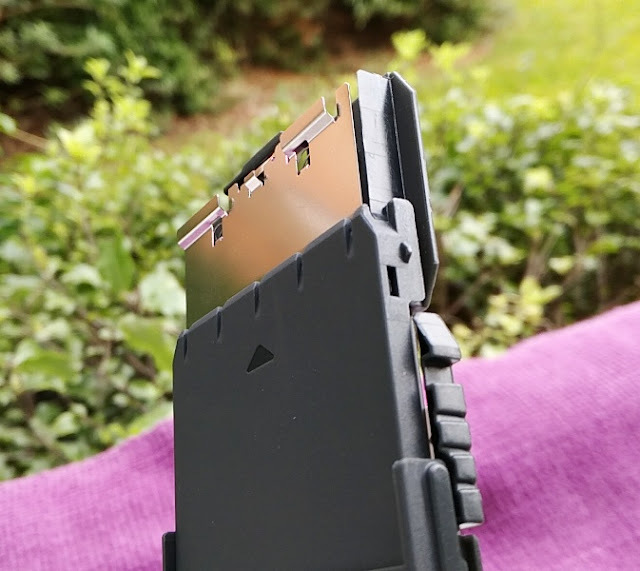 Just like any printer, you may experience a paper jam if you don't align the paper correctly, or the paper is bent or the cartridge is not inserted all the way. 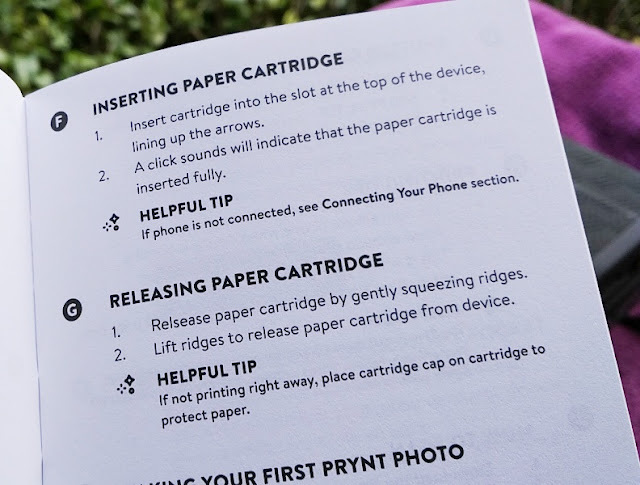 If you do, you simply remove the paper cartridge and gently pull out the paper that is stuck inside the Prynt Pocket. 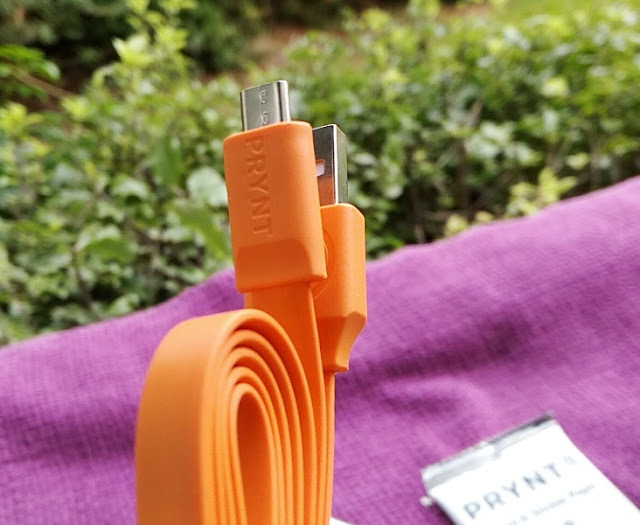 Then, reset the Prynt Pocket. 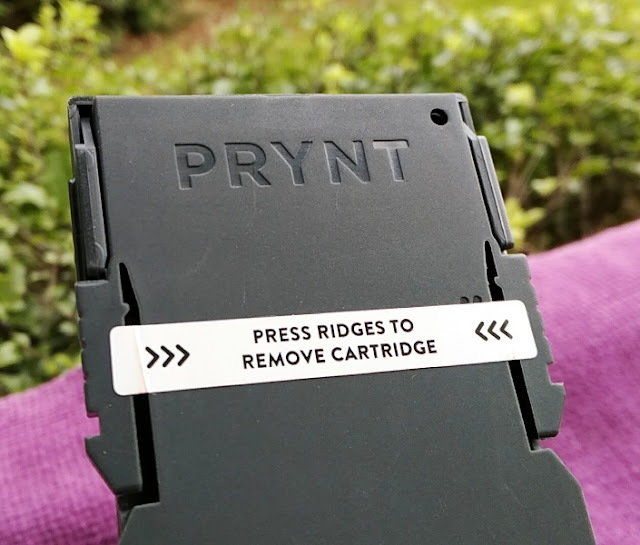 There is also a nifty way for you to clean the Prynt Pocket's roller by folding photo paper or a blue smartsheet and using double-sided tape to tape the paper to the pressure plate inside the cartridge. 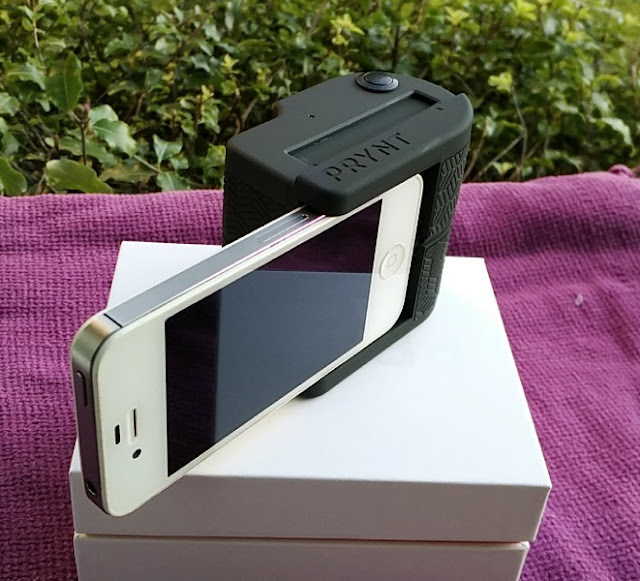 The Prynt Pocket is compatible with iPhone 6, iPhone 6S, iPhone 7, iPhone 8, iPhone 6 Plus, iPhone 6S Plus, iPhone 7 Plus, iPhone 8 Plus, iPhone 5, iPhone 5S, iPhone SE and iPhone X.